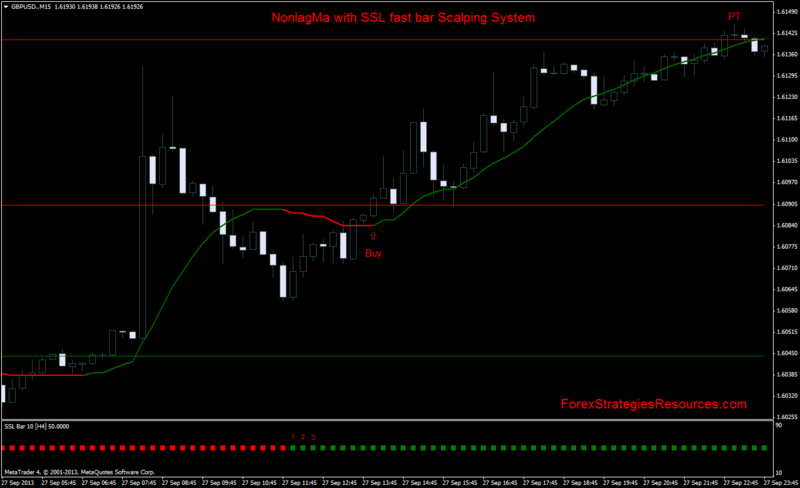 This Scalping System is multi time frame based on the Nonlagma indicator and SSL fast bar (time frame 240 min). Trade only between 06:00 GMT and 21:00 GMT (15 min intraday Scalping System). non-lag ma indicator is green and SSL bar (3) are green . non-lag ma indicator is red and SSL bar (3) are green . Take profit: 20-25 pips or on the pivot points level. initial stop loss 25 pips. 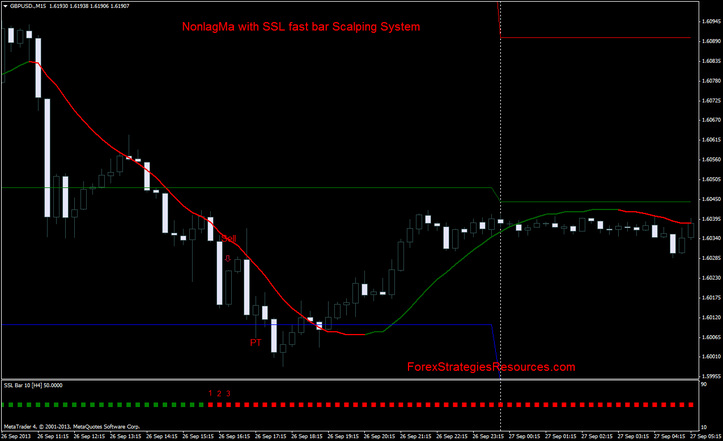 NonlagMa with SSL fast bar Scalping System: Template, Indicators.